I started working with Greasebook in 2014. Greg contacted me through LinkedIn and agreed to meet and discuss his project. In a café, he told me about his idea and how he could develop it. We start with something simple: a web page explaining the product. This coffee meeting was extended for 3 more years, where we developed the application as such, which is now used by more than 2,000 people in the Oil and Gas sector. 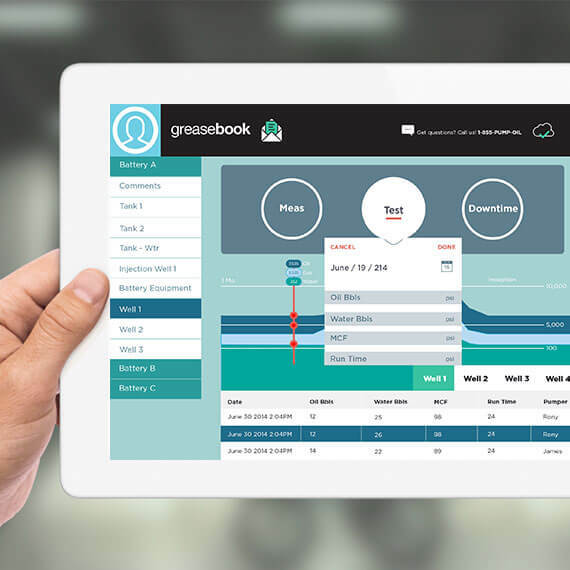 GreaseBook develops a mobile production reporting software that enables users to track tank levels, submit gauge sheets, and send and store run tickets. It is a complete field production management solution. Our main goal was to create a product that is easy to use for industry workers. They are people who spend a lot of time in the car, moving from rig to rig. In each oil well, they obtain a lot of information, and it is generated in the form of “tickets”. The idea was to optimize this process. 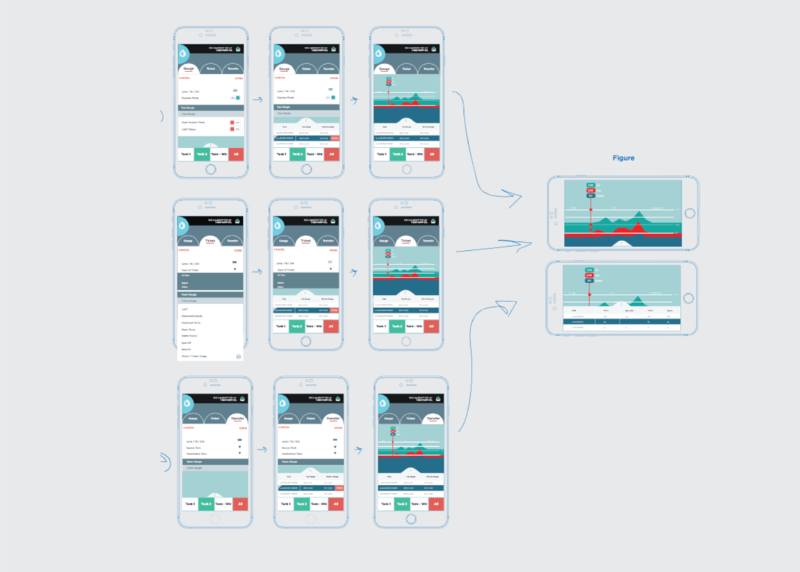 Through the mobile and tablet application that we created, the user enters the information from each well, and this generates the necessary report for each client (among many other actions). In real time, both the workers and the clients can see the well’s status. Greasebook was my first client outside of the advertising and branding sector. Until then, I had created solutions for specific campaigns or commercial products. Greg taught me to understand processes at the business level, as well as complex words and algorithms that I did not even know existed. Understanding the oil business was my challenge. 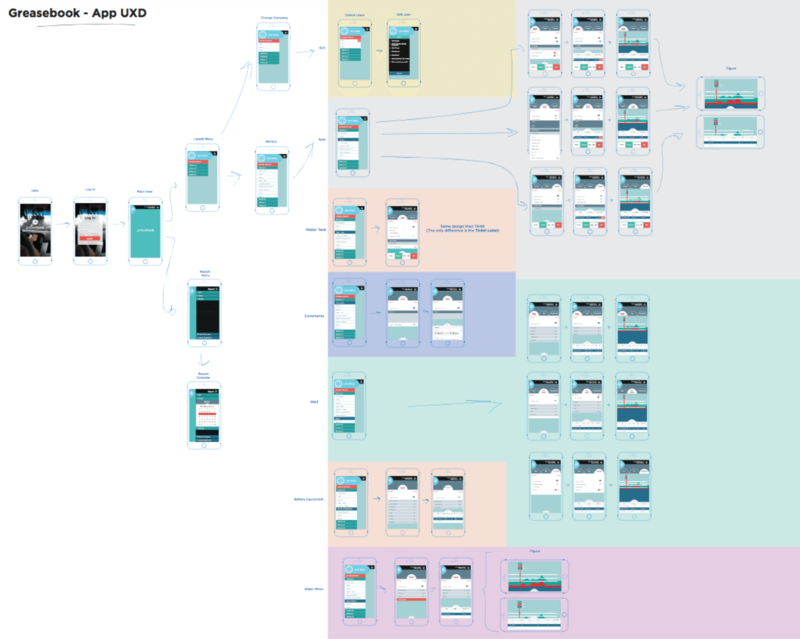 After many interviews, workflows drawn everywhere, hundreds of designs and too many coffees to count, we managed to create a killer application. We created an app that optimizes a process that is now used by a huge number of clients in the sector.